Run along this historical route which overlooks the waterfront of Singapore! 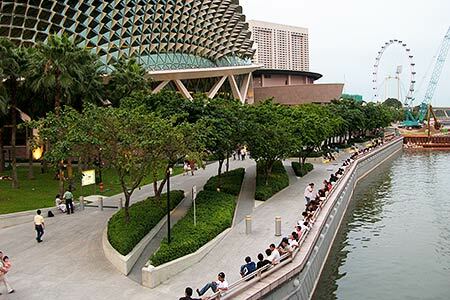 Esplanade Park, one of the oldest parks in Singapore, was built on reclaimed land in 1943 and redeveloped in 1991 to enhance the Civic District’s identity. It stands before the Padang, Supreme Court and City Hall, with its boundaries defined by Connaught Drive, Stamford Road, Esplanade Drive and the mouth of the Singapore River. 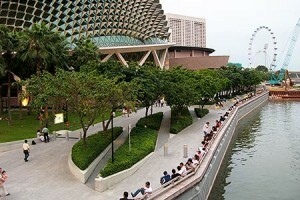 Once a popular dating spot among the older generations, Esplanade Park is also a showcase for many of Singapore’s historical landmarks, including Queen Elizabeth Walk, the Lim Bo Seng Memorial, the Cenotaph, the Tan Kim Seng Fountain and a World War II marker indicating the location of the former Indian National Army Monument. You can also spot the Civilian War Memorial, built in remembrance of those who died during the Japanese Occupation in World War II. You can start your loop from the exit of the Esplanade Theatres, then make your way to the Esplanade Park via the Esplanade Open Piazza. 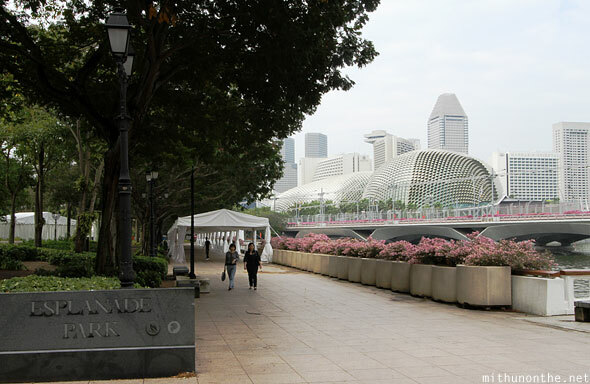 Run along the Esplanade Park, and for longer distance runners, you may extend your loop all the way to the F1 Pit Building or even further.